Last year, more than 7 out of 10 TVs sold by Samsung Electronics in the global TV market were smart TVs, at Video & Audio Center our percentage of smart TV sales was even higher. According to market researcher IHS Markit, smart TV sales in the global market has exceeded 60 percent, which is a significant leap from 35 percent in 2013, demonstrating the growing demand for easy and convenient smart functions. 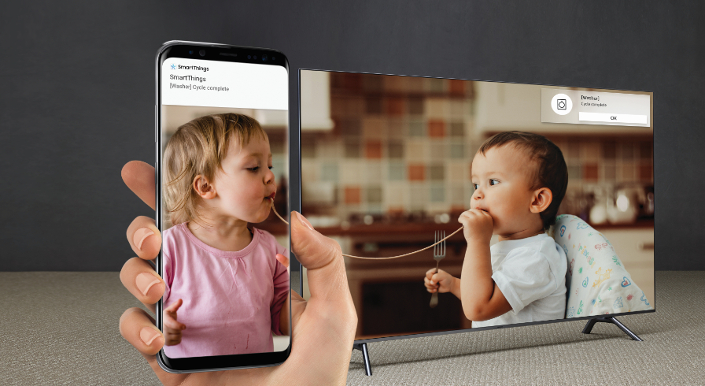 Samsung Electronics is one of Video & Audio Center's manufacturers that are leading the change by strengthening the intelligent function of its 2018 QLED TVs with artificial intelligence (AI) and the Internet of Things (IoT). 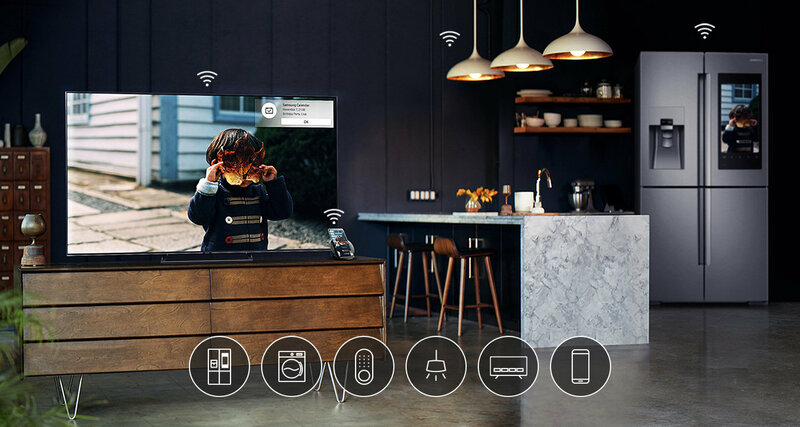 This year’s QLEDTVs have dramatically simplified the consumer process for utilizing their TV, from the first set-up to connection with other devices. 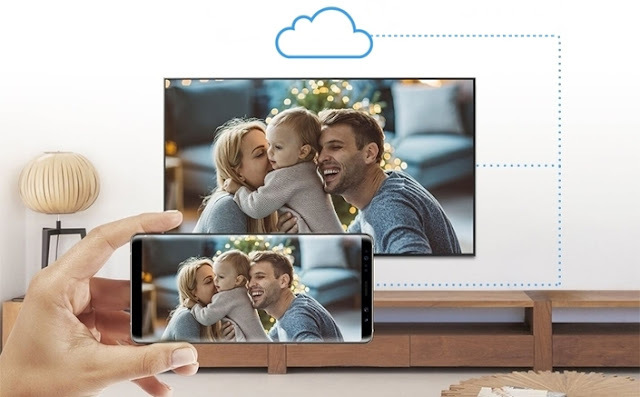 What’s more, the TVs are now able to share content with, and control, connected devices. These are the result of Samsung’s efforts to innovate the user experience based on the company’s understanding of consumer usage and by incorporating the intelligent assistant Bixby and the SmartThings IoT platform. 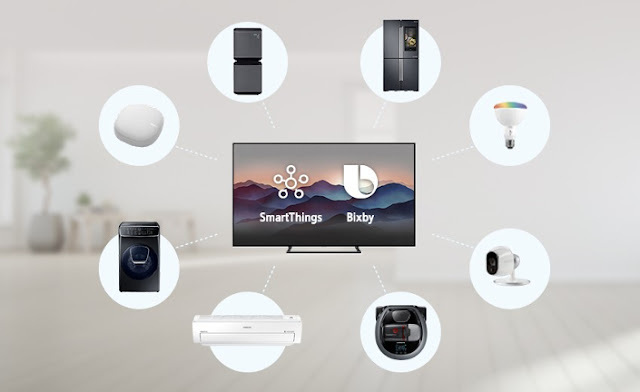 Users can run the SmartThings app on their smartphone and click ‘Add Device’ to automatically find all the IoT devices in the house that users can connect to. When turned on, SmartThings detects IoT devices at home ranging from traditional home appliances like washing machines and air conditioners to baby-cam, lights, doorbell, and locks. Device information in these connected homes can be viewed at a glance on the TV using the SmartThings Dashboard. The TV immediately becomes the control tower of the living room. Users can, for example, operate the air conditioner after checking the home temperature. Or check the remaining laundry time on the washing machine. Users can also choose to take a look at what ingredients are in the Family Hub refrigerator. The QLED TV has been equipped with ‘One Remote Control’ function, which can control various peripherals with one remote control. In particular, this year it not only supports game consoles, OTT (Over the Top) boxes and speakers, but also audio products connected with optical cables. Bixby Voice also helps make navigating the QLED TV easier. By pressing and holding the remote control voice recognition button, it is possible to search content as well as set up a TV without having to operate it several times. 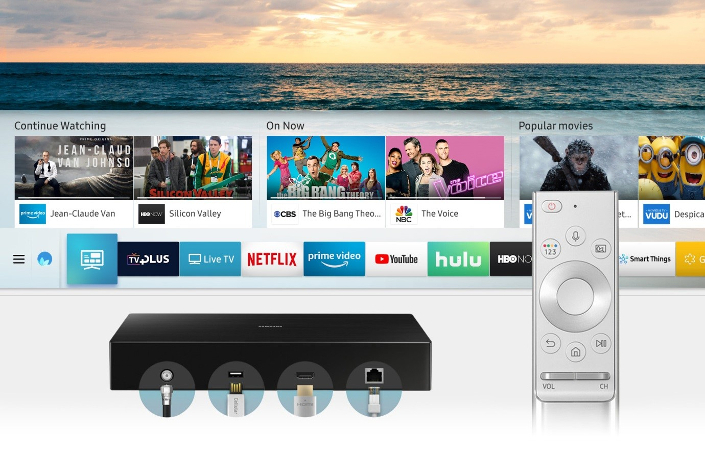 It’s a strength that users can find various VOD (Video on Demand) contents such as Amazon, Hulu, and HBO as well as the contents of the set-top box. Users can also get additional information like the soundtrack while watching TV. For example, say “What is this song” to find out what music is playing in the background. Video & Audio Center, last month named California's #1 Video & Audio Retailer/Integrator for 2018 (and #3 in the Country) for the 18th year in a row, carries a complete line of Samsung's latest entertainment and smart home technologies, including the QLED TVs and SmartThings applications mentioned above—and for less than on Amazon or Best Buy, see stores for details.